Michael Anthony is always on the lookout for the most powerful punchy sound available, used to retro fit many of his now legendary instruments with the original Schecter Monster Tone P and J pickups. When these became scarce he had his team search high and low for these original pickups. In later years this same tone was sought after by many leading manufacturers to compliment his instruments. Well, they are back and so is Michael Anthony to the original Schecter Monstertone pickups. Used in his new Signature Schecter basses, these pickups are the real deal reproductions down to the original vendor materials and in house custom milled brass baseplates. 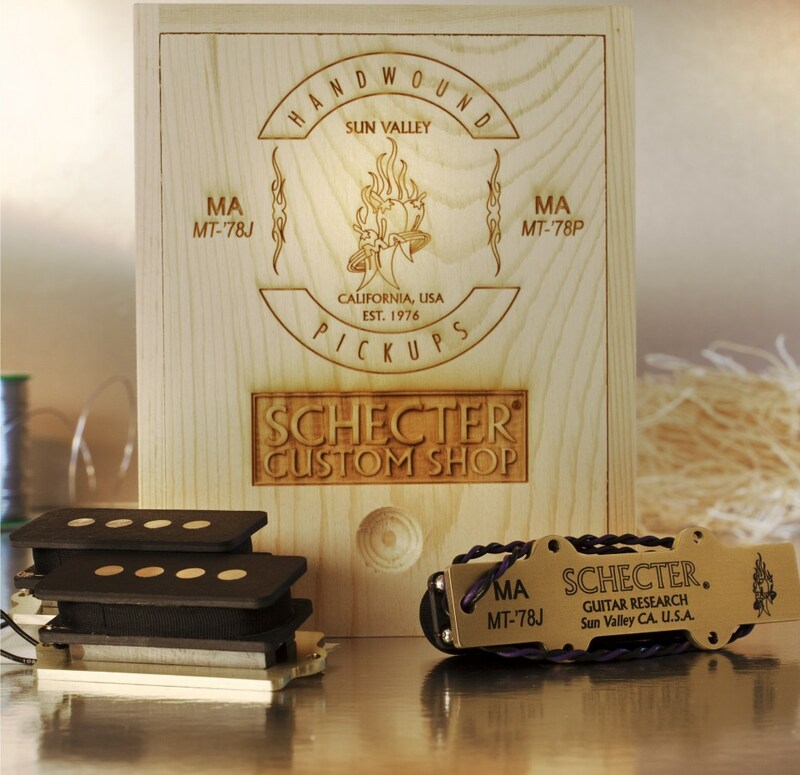 Voiced after Michaels original Schecter Set, these pickups wont leave you bottoms up. A straight hardwired series split P style in the neck and a full power Single J for the bridge are perfectly paired. 16 .25" steel poles in all, energized by custom sintered Ceramic magnets provide punch, power and incredible dexterity when used in conjunction with a standard passive Vol-Tone configuration. Sold in matched pairs with hand signed documentation. This set will unchain even the most modest instrument.